Mazda has spent years positioning itself as a maker of sporty vehicles that are fun to drive. The approach has certainly paid off, especially in Canada. Now the manufacturer wants to build on this reputation and step up their game to become a slightly more upscale brand. As a relatively small automaker, Mazda hopes this strategy will help improve its profit margins. With this goal in mind, Mazda recently introduced high-end Signature versions of some of its models. The 2019 CX-5 Signature is the latest to join their ranks. As the fourth version of the model, the Signature could help the CX-5 become the brand’s best-selling vehicle—a title the Mazda3 currently holds. Will it sell? Probably, considering that the CX-5 GT now accounts for over 43% of the model’s sales. This newcomer edges ahead of the CX-5 GT to become the top-of-the-range version. Starting at $40,950, the Signature isn’t cheap, but offers superior luxury and more equipment. From the outside, it can be hard to tell the more upscale CX-5 apart from its siblings. There’s no telltale emblem signalling that you’ve bought a vehicle that’s on par with the luxury SUVs made by BMW, Audi or Mercedes-Benz. In fact, the only distinguishing features are the 19-inch titanium finish wheels. So if your goal is to impress your neighbours, you’ll need a different strategy. The CX-5 Signature asserts its superiority in the cabin, which features a more exclusive appeal with Nappa leather seats and Abachi wood trim on the dashboard and door panels. Dark fabric covers the cabin ceiling and the LED lighting adds a welcome touch of sophistication. The overall effect falls short of some luxury models, but it’s far superior to the CX-5’s traditional rivals, even the swankiest trims. 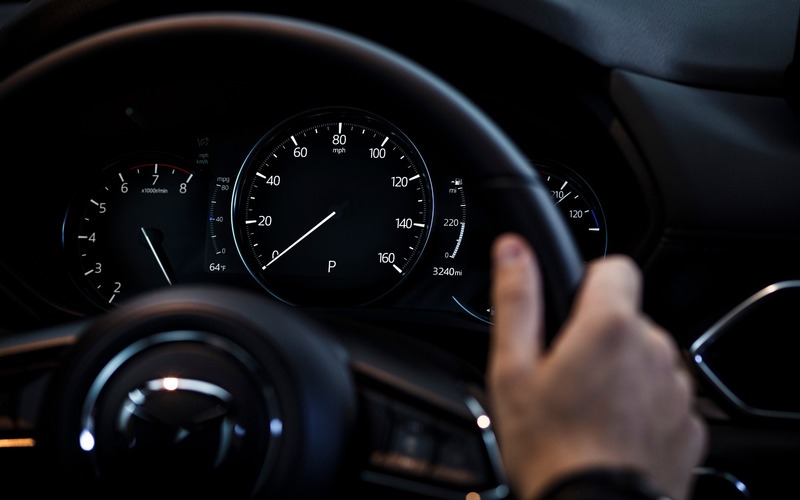 Although Mazda still thinks touchscreens are distracting, the manufacturer has buckled to popular demand and has even gone so far as to add Apple CarPlay and Android Auto integration. Besides that, the Signature offers heated and ventilated front seats. The CX-5 Signature is equipped with a more powerful engine. It comes with the same turbocharged, 2.5-litre four-cylinder engine found in the Mazda CX-9, but Mazda also decided to use make this engine optional in the GT trim. This definitely detracts from the CX-5 Signature's exclusivity. Most turbocharged engines can only take super unleaded. Fuel with a higher octane rating can withstand more compression, meaning it won’t detonate before being ignited by the spark plug. Fortunately, the CX-5 Signature's engine works with regular gas, which will save you a substantial amount of money at the pump. However, the tradeoff from cheaping out on high-octane gas is that you lose power. With regular unleaded, the engine delivers 227 horsepower, in contrast with 250 horsepower if you fill up with super. That's a pretty big difference. The culprit behind the loss is the electronic management system, which reduces performance at high revs to prevent spontaneous combustion. But unlike its competitors, Mazda gives you the choice, instead of imposing super unleaded on you. We tested this vehicle in winter and, as you can see in the photos, there was no shortage of snow. Under these circumstances, it was hard to assess just how dynamic the model is as we focussed on keeping the vehicle on the road. But we did appreciate the i-ACTIV all-wheel drive and traction control system, which allowed the vehicle to sway, but never let it slide out of control. In less snowy areas, the 310 lb.-ft. of torque was noticeable as soon as we tickled the accelerator. This is particularly useful when overtaking or merging into traffic. The engineers optimized the torque range, along with the automatic transmission, which offers great pick-up at cruising speed. Few vehicles of this kind offer as much punch, even in the luxury SUV category. 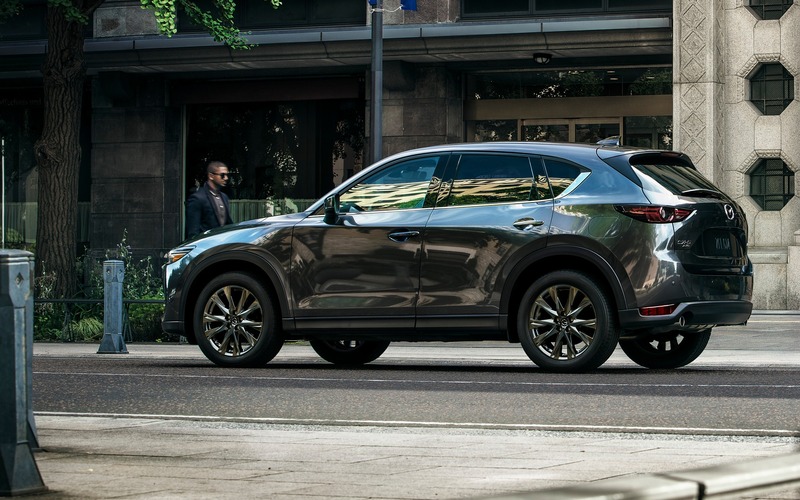 In fact, with 310 lb.-ft. of torque no matter what type of fuel you choose, the CX-5 Signature tops the model range in terms of performance and dynamics. 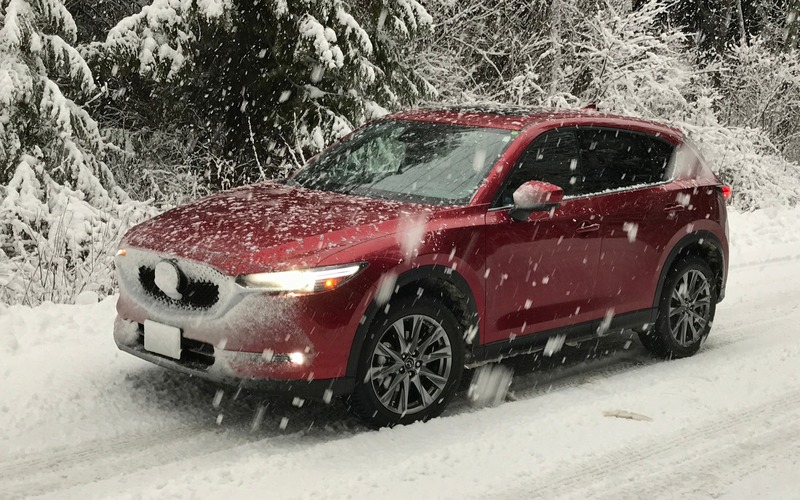 In fact, in this regard, the CX-5 Signature far exceeds the two category frontrunners, namely the Toyota RAV4 with 184 lb.-ft. of torque and the Honda CR-V with 179 lb.-ft.
With a redesigned suspension that reduces roll, the CX-5 offers perfect balance and may well convince sports sedan enthusiasts to fall for an SUV. In short, the Signature is substantially more luxurious, but it comes with a high-end price tag. Another option would be to buy the CX-5 GT with the optional turbo engine. 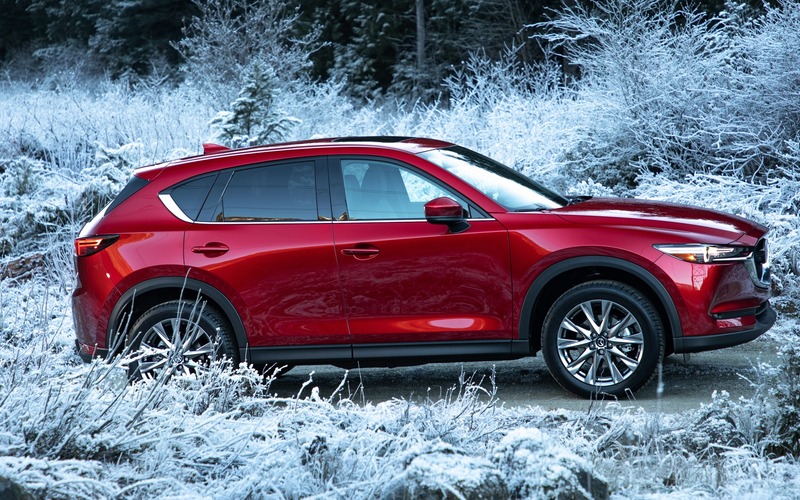 By introducing the CX-5 Signature, Mazda is betting that some buyers will prefer a premium Mazda over a luxury-brand SUV. 8/10	The Signature is less fuel-efficient than its siblings. 8/10	Comfortable interior even though the back seats are less roomy. 9/10	Comes with various performance-enhancing technologies. 8/10	Kudos for integrating Apple CarPlay and Android Auto. 9/10	This is what it’s known for! 9/10	An SUV with the heart of a speedster.